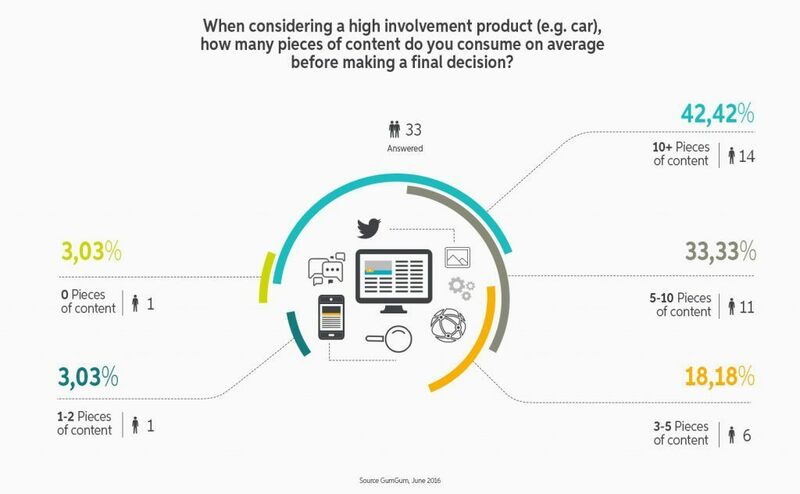 Is Content Marketing Really Worth It? 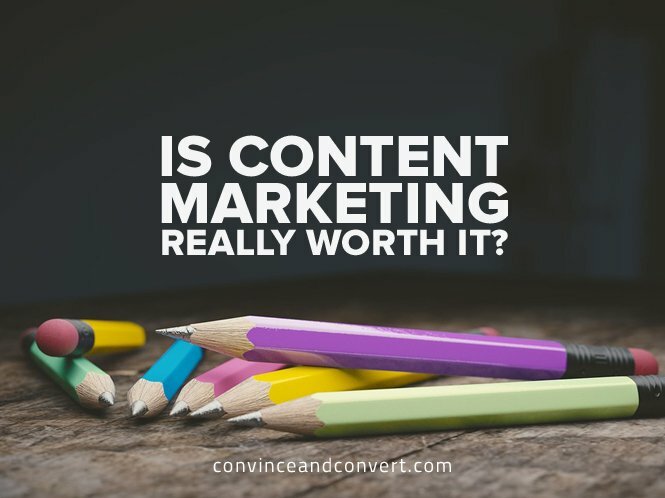 Is content marketing really worth it? You publish an article, some people read it, maybe they like it, and then what? Do they volunteer to get tattoos of your logo on their foreheads? Do they open their wallets and let you take out as much as you want? If you read enough blog posts or skim through enough ebooks, you’ll see an overly simplistic narrative everywhere you look: If you publish high-quality content, revenue will follow. That sounds great, but the truth is more complicated. Content marketing can definitely be worth it, but perhaps it’s not meant to drive the hard ROI everyone expects. That’s because what we like to refer to as lead generation, one of the oft-mentioned goals of content marketing, is a little broken. “Leads” are misleading, mostly because a content download itself isn’t a lead. Just because someone fills out a form and grabs your report doesn’t mean they’re going to buy your product now or ever. Speaking of which, don’t believe the hype around email nurturing. From my experience, the chances of a prospect ultimately setting up a meeting after exposure to email nurturing are quite slim. Don’t get me wrong—at GumGum, we generate thousands of downloads each month, and it’s comforting to use that number as a proxy for the success of our content marketing programs. But we also go further by analyzing sales opportunities, ROI, and lifetime value. 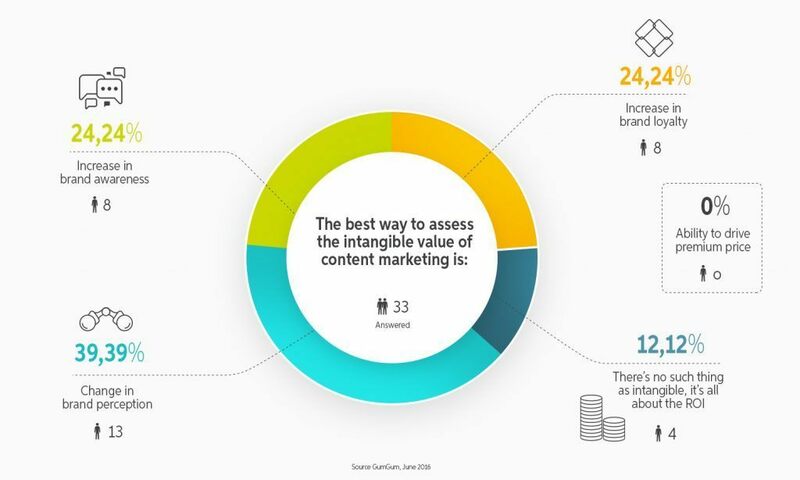 And there’s another way to assess the value of your content marketing. Based on what I’ve seen, content marketing’s real strength lies in brand lift and changes in brand attitudes. Companies can use content to change the way people perceive them. It doesn’t have to be overly complicated, either, but the rhetoric surrounding content marketing ROI has just gotten too unrealistic. According to Content Marketing Institute’s 2016 Benchmarks report, 55 percent of marketers are unsure what content marketing success even looks like. That’s a staggering figure considering that billions of dollars in marketing budgets are at stake. So what’s causing this disconnect? My guess is unrealistic expectations. Many marketers struggle to set up the right goals and processes before they start publishing. Then, when there aren’t enough sales opportunities to satisfy the execs, there’s a mad scramble to figure out what went wrong. At that point, it’s already too late; your content was destined to fail. The process of converting a customer requires patience. You have to build a relationship and earn trust instead of immediately asking for an email address, phone number, job title, or any other personal info that corporations to try to get from consumers. In a recent GumGum survey of 33 marketers, every respondent said that content helps change the brand perception of the brand producing it. Additionally, before making a purchasing decision, more than 75 percent looked at at least five pieces of content, while more than 40 percent looked at 10 or more. This isn’t to say that leads, downloads, and dollars are unimportant, but they’re factors that we should be looking at down the line. It takes months, if not years, for companies to translate content into sales opportunities. Brand perception is impacted the most in the short run, which is more intangible than the hard metrics we’re used to measuring. Sure, marketers can gauge lift by conducting surveys, but softer metrics such as feedback from sales are also helpful. For example, at GumGum, we’ve created some initiatives for sales to report feedback from prospects and clients on our content. Having client quotes that support the quality of our content is sometimes more powerful than hard numbers. No matter how you measure its impact, quality content still matters. In our survey, respondents indicated that brands that don’t produce good content are “out of touch,” “slimy,” “dated,” and “lost.” If you create helpful content, however, people will think you’re knowledgeable. If you create enough helpful content, they’ll value you as a resource and respect your brand. If they repeatedly come to you as a resource and have a need for your product, then they’ll think of you before your competitors. We like to over-complicate things, but it could be that simple.